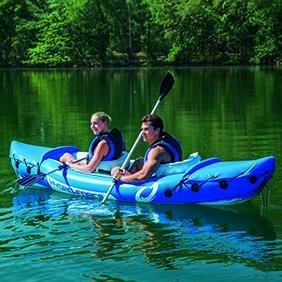 The Rapid Lite x2 kayak from Bestway is a stable kayak that comes with 2 aluminum paddles of 218 centimeters long. 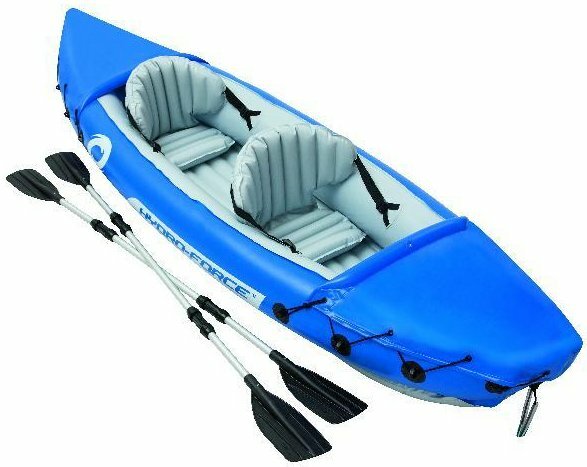 The kayak is also equipped with a fin and two seats that can both be removed. 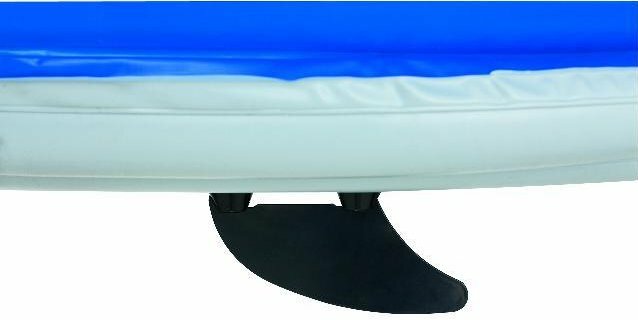 The fin ensures that the kayak remains stable in the water and reduces fluctuations . 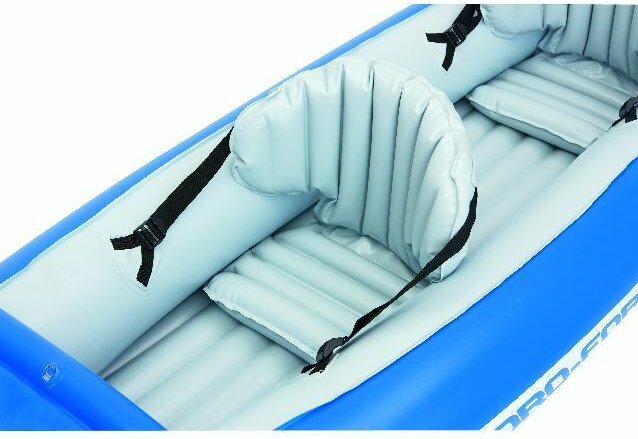 The form-retaining construction is designed so that no water comes into the hold and the kayak is suitable for 2 persons with a maximum user weight of 160 kilos. 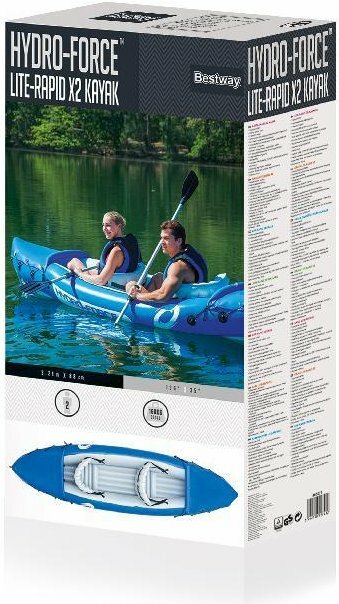 Great Kayak for the price. 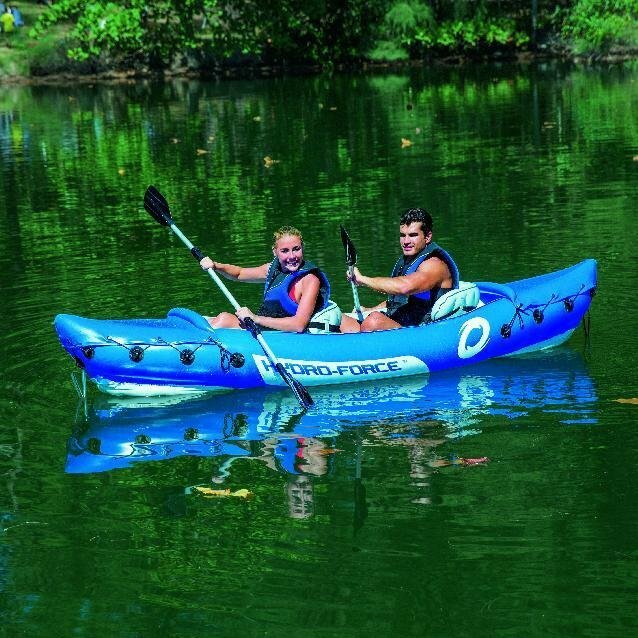 Had some great fun with friends on the rivers and canal systems in my local area. 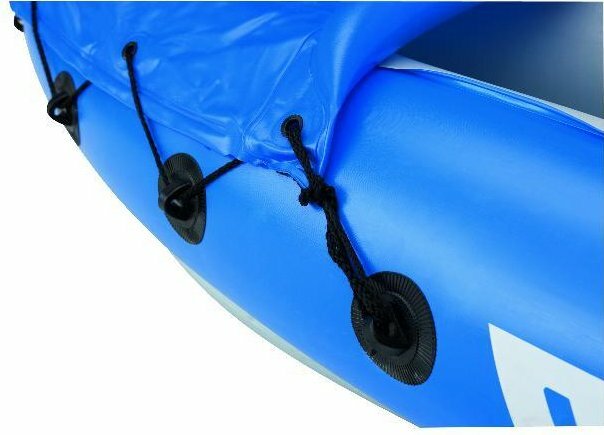 The kayak can be inflated in 10 minutes and ready to go. The paddles are a little on the heavy side so some I have used in the past but nothing major.